When we think of defensive driving, we often focus on our local Texas highway situations. The fact of the matter is we need to be just as careful close to home in Midland, because that's where we do most of our driving. We can't let our familiar surroundings keep us from driving defensively. Always use your turn signals while driving around Midland, Texas. Avoid other vehicles' blind spots. Keep your wheels straight when waiting to turn at an intersection in Midland . That way if you're hit from behind, your car won't be pushed into on-coming traffic. If you see another car driving erratically, weaving, crossing lanes, etc., stay back. Take the next right turn if you're downtown Midland, or take the next exit on the Texas highway. Notify the police if you see someone driving dangerously in our Midland community. Have you ever driven a vehicle without power steering? If you have, then you probably appreciate how much easier it is to drive today's modern vehicles. Before power steering, all of the force to turn a vehicle had to come from the driver's arms. That's why old cars had such large steering wheels: they needed plenty of leverage to steer. There were some Midland folks who had difficulty driving because they just weren't strong enough. Midland drivers who own a vehicle that uses power steering fluid need to have it changed regularly. Over time, moisture accumulates in the power steering fluid, which affects steering performance and can corrode steering components. Dirt and other contaminants can also accumulate in the power steering fluid, which will also negatively affect steering performance. A good power steering service at West Texas Automotive in Midland will flush out the old fluid and get rid of dirt and other deposits in the system. Clean fluid will then be added. Fresh fluid provides lubricants that help protect the steering system as well as prevent corrosion. For recommendations on how often your power steering fluid should be replaced, consult your owner's manual. It varies by vehicle model and manufacturer. For more auto advice on steering fluid changes—and other preventive maintenance—you can talk with your service advisor at West Texas Automotive. You may need to change your fluid more often depending on the driving and weather conditions in your area. Midland drivers who believe in good vehicle care will add power steering service to their preventive maintenance schedule. This will prevent damage to your steering system and extend its working life. The old days of double-handed cranking on a huge steering wheel may be over, but our new comfort and convenience are not maintenance-free. Do yourself and your vehicle a favor. Keep the power steering fluid clean. Power steering is standard on nearly every vehicle in Midland, Texas, these days. 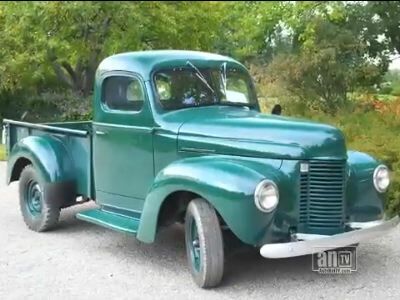 Now there are some exotic, new types of power steering systems, but for the most part, the general setup is a pump that's driven by a belt powered by the engine. Contact the automotive professionals at West Texas Automotive in Midland for questions about your power steering. The pump generates power that assists drivers as they steer their vehicle around Midland, Texas. 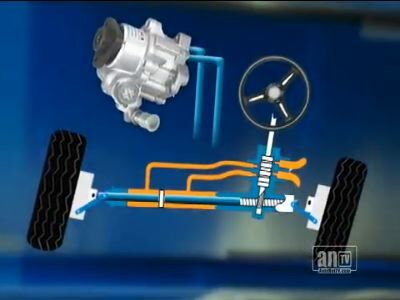 Power steering systems use hoses to move pressurized fluid back and forth. These hoses can develop leaks so it's a good idea to have West Texas Automotive inspect them at every oil change. A check of the power steering fluid level is on the list for every full service oil change at West Texas Automotive because low fluid can damage the power steering pump. And the fluid needs to be compatible with the hoses and seals, so it's important to use the correct type – just ask your service advisor at West Texas Automotive. In addition to providing a boost, the fluid cleans, cools and lubricates the power steering system. Over time, the lubricants and detergents diminish so Midland drivers need to replace their old fluid with clean, fresh fluid periodically. Excess moisture can collect in the power steering fluid as well. That can lead to rust and corrosion as well as reduce the effectiveness of the fluid. Many outline power steering service intervals in the owner's manual. Unfortunately, this service is sometimes left off the maintenance schedule. For Midland drivers who are not sure, every two years is a good rule of thumb. At West Texas Automotive, we use a detergent to clean the system, flush out the old fluid and replace it with new fluid. Holding the steering wheel to the far right or left for more than a few seconds at a time can wear your pump out quickly. We want you to be sure to service your power steering system regularly at your service center, or West Texas Automotive in Midland, to keep you headed in the right direction. Virtually all vehicles come with power steering, so many Midland drivers have never driven a car or truck without it. Power steering assists you when you turn your vehicle steering wheel. Without it, it would be very hard to steer. The other kind of power steering is hydraulic. This is the kind most older Texas vehicles — and a lot of newer ones — have. Power steering fluid is pressurized by a pump and is used to assist steering. Of course, vehicles need the right amount of fluid in the system. If it's too low, your steering is affected and you could damage your vehicle pump. Also, power steering fluid can become corrosive over time and damage the pump, hoses and connectors, leading to leaks and repairs. Power steering service at West Texas Automotive in Midland includes removing the contaminated fluid and replacing it with fresh fluid. A word for Midland drivers about power steering pumps: Some are powered by an electric motor. Others are driven by the serpentine belt. A worn serpentine belt stresses all of the vehicle components it drives, including the power steering pump, so replace the belt at West Texas Automotive as advised to avoid undue repairs. Losing your power steering while driving in Midland can be unsettling – just remember that you can still steer, it'll just be harder. Check with your service advisor at West Texas Automotive to see if it's time to service your vehicle's power steering system. In addition to power steering service, at West Texas Automotive we offer comprehensive automotive services. Service to a vehicle's power steering system is part of preventive maintenance for Midland auto owners. This system provides power to the steering wheel so you can turn it with ease. Without power steering, all of the power to turn your vehicle's wheels would have to come from you. Midland drivers should remember that fluid levels in the power steering system should be checked at every oil change. Low fluid levels can damage the pump, which can be expensive to repair. Low fluid levels may also indicate a leaky hose in the power steering system, so it is a good idea to inspect the hoses, especially if your fluid levels are low. Power steering fluid breaks down over time, losing its effectiveness. It also gradually collects moisture, which can lead to corrosion in the steering system. So the fluid needs to be replaced occasionally. You should check with your owner's manual or ask your service advisor at West Texas Automotive to learn how often this fluid should be replaced. When your fluid is replaced, your technicians at West Texas Automotive will remove the old fluid and replace it with new. Power steering fluids are not all created equal; the fluid has to be compatible with your hoses and seals. West Texas Automotive can ensure that you get the right fluid for your vehicle, or you can consult your owner's manual. Signs that your power steering system is in trouble can include the following: a steering wheel that is hard to turn, auxiliary steering power that cuts in and out, or a whining sound coming from the pump. Also, drivers in Midland who are not topping off the power steering fluid on schedule may hear squealing coming from the engine belts. Preventive maintenance for your steering system primarily involves the power steering components, but your steering system has other parts that can wear out or be damaged by rough Texas driving conditions. Such parts include the ball-joint, idler arm, steering gear, steering-knuckle and tie rod. Signs that they are in need of attention include play in the steering wheel, a vehicle that wanders, uneven tire wear and a steering wheel that is off-center. Midland drivers should have their alignment checked annually. This check-up can reveal bent or damaged steering components. For answers to other questions about your steering system, or for auto advice on any type of vehicle maintenance, check with the team at West Texas Automotive. We can steer you in the right direction when it comes to quality car care. Most Midland drivers are too young to remember life before power steering - cranking those great big steering wheels! It was a pretty good workout. Now power steering is standard. Let's look at how it works. The heart of any power steering system is its pump. The pump pressurizes the power steering fluid that provides assist for steering. Most pumps are driven by a belt that is run by the engine; a few are electrically powered. A high-pressure hose passes fluid from the pump to the steering gear. A low pressure hose returns the fluid back to the pump. These hoses can develop leaks, so it is a good idea for Midland drivers to have them inspected at every oil change. Low fluid can damage the power steering pump. That is why power steering fluid level is on the checklist for a full-service oil change. The fluid needs to be compatible with the hoses and seals, so check your owner's manual for the right type - or just ask your friendly and knowledgeable pros at West Texas Automotive in Midland. The fluid cleans, cools and lubricates the power steering system. It breaks down as the years go by and collects unwanted moisture, so Midland drivers need to replace it from time to time. Many vehicle manufacturers specify power steering service intervals. Unfortunately, this important service is sometimes left off the car maintenance schedule for many of us. So, when in doubt, every 25,000 miles/40,000 km or two years is a good fallback. Your technician at West Texas Automotive will use a detergent to clean the system, flush out the old fluid and replace it with the good stuff. Here are some warning signs of trouble with your power steering: It's harder to turn the wheel, there's erratic power assist, you hear loud whining coming from the pump (which may be difficult to hear over the loud whining coming from the backseat), you have to top-off the fluid frequently, or you hear squealing belts. Remember to never hold the steering wheel to the far right or left for more than a few seconds at a time. That will wear out your power steering pump quickly. Other steering components can be bent or damaged from wear or hard knocks: ball-joint, idler-arm, steering-gear, steering-knuckle and tie rod to name a few. Warning signs here are steering play, wandering, uneven tire wear and an off-center steering wheel. An annual alignment check at West Texas Automotive in Midland will reveal bent or damaged steering components. The bearings should be cleaned and inspected. If they are excessively worn, they need to be replaced. The bearings are then repacked in clean grease. The team at West Texas Automotive also recommends the wheel-seal be replaced when the bearings are serviced. Like everything else, check your owners' manual maintenance schedule. It's usually required around every two years or 40,000 miles/64,000 km. If you drive through water in the Midland area, the bearings will need service more often.